TEDxNTUA Main Event - Talks Applications period has ended. TEDxNTUA LiveStream&SideEvents Applications period has ended. We’ve been navigating with maps that precede our geography. We are following the long way back in search of the short way forth. Admittedly, we have drifted away from what is ahead. Hopefully, we’re not too late to realize we won’t make it on time. Hopefully, we won’t be too proud to take a shortcut. 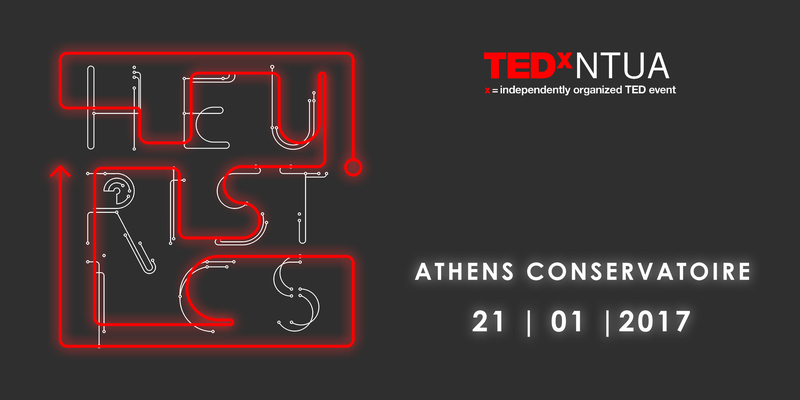 Introducing TEDx NTUA, we want to look deep into the ways our individual creativity changes the world around us. Experiment with different reagents and ignite the proliferation we want to see in society. Take a shortcut and find the most sufficient solution to your problem. Our theme this year is Heuristics. Empowered by the cohesion that binds the disciplines of engineering, we hope to plant a seed of hope and harvest a forest of endless possibilities. Join us and let's mold ideas into progress, into history..